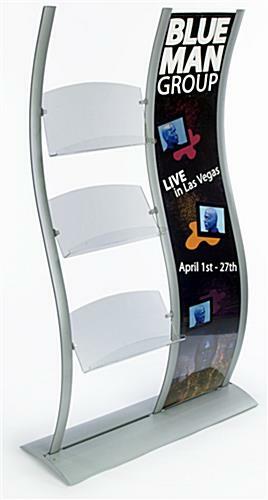 Double-sided stand reaches passersby from multiple directions. 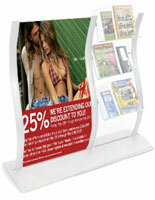 Clear acrylic pockets allow customers to view your literature with ease. 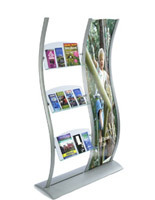 Leaflet dispensers are eye-catching fixtures, standing approximately 7-feet tall! 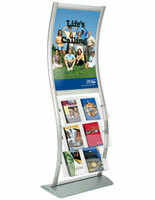 These brochure displays, leaflet dispensers include (3) clear acrylic pockets and double-sided poster frames for advertisements. Each literature pocket features adjustable brackets, allowing a user to alter a pocket's height and orientation. Also, included with your unit is a 5-pocket literature divider for optional use. 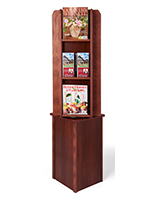 Your leaflet dispensers, also known as literature stands, do not require frequent refills of brochures, as the pockets are approximately 2-1/2" deep. 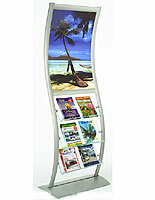 Leaflet dispensers are made from brushed aluminum for a durable and neutral display stand. 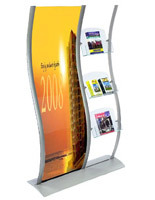 Leaflet dispensers, such as our other wave-shaped fixtures, are resistant to rust when used indoors. 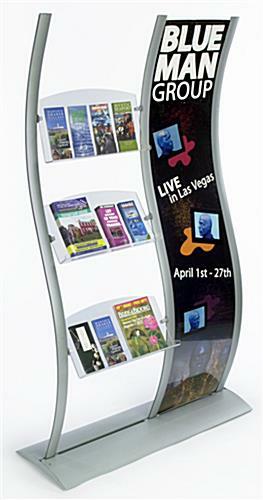 These graphic frames, leaflet dispensers include (2) clear, plastic lenses to protect your posters and to keep them in place. 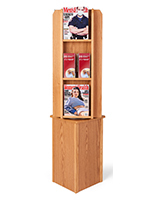 These pamphlet holders are ideal leaflet dispensers for publication retailers as well as for museums, lobbies and convention centers. 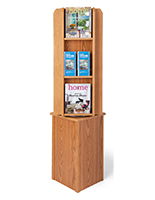 Their large graphic frames and unique wave-like design will draw customers to your displays, while your informational pamphlets leave a lasting impression.